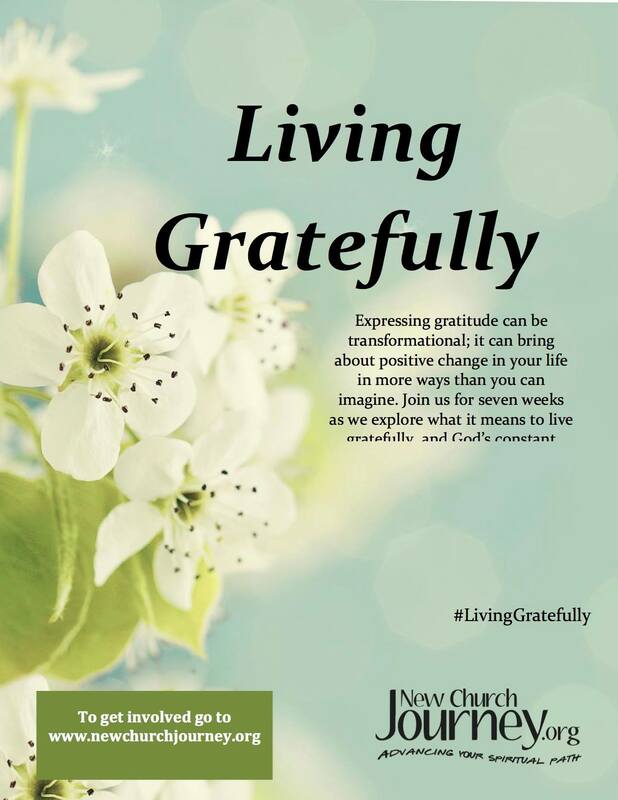 “Living Gratefully” written by Sasha Silverman and John Odhner will the topic of our 2016 small group and sermon series. 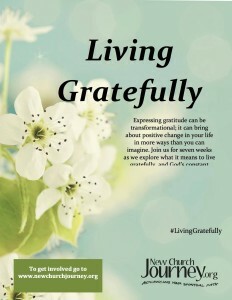 We will focus on how the Lord works within each one of us on our spiritual walk, and the gratitude that we can experience as we see Him at work and cooperate with Him. Small Groups are forming, please contact Rev. Mark Pendleton for more information on how to join. Thank you for considering this option for your spiritual lives. We hope that this program and small group experience will be enjoyable and rewarding for all who take part.